Tenor Joel Scott is a graduate of the Sydney Conservatorium having attained an Advanced Diploma of Opera and a Bachelor of Music (Performance). Most recently Joel sang as part of the chorus of Opera Australia in their productions of Puccini‘s Turandot and Verdi‘s Luisa Miller. He is currently singing full time as part of the chorus in OA’s winter season. Operatic roles include: Laurie in Mark Adamo’s Little Women, Monsieur Vogelsang in Mozart’s Der Schauspieldirektor and Don Basilio in Le Nozze di Figaro, Aristee/Pluton in Offenbach’s Orfee aux Enfers as well as Il Venditore di Canzonette from Il Tabarro by Puccini. Concert appearances include: tenor soloist with the Manly Warringah Choir in Handel’s Messiah and Saint-Saens Christmas Orartorio. He has previously performed the tenor arias from Bach’s St John’s Passion as well as the role of Obadiah in Mendelssohn‘s Elijah under the baton of Neil McEwan AM. 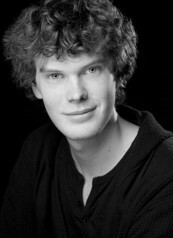 He has also performed as a soloist in Mozart’s Requiem. Joel has previously been a semifinalist in IFAC Australian Singing Competition where he was awarded the Ingrid Davidson Prize. On 13. August 2016 he received the German-Australian Opera Grant in Melbourne and will depart to Germany in May/June 2017 to become part of the professional ensemble at the Hessisches Staatstheater in Wiesbaden for one year.